The annual weekend at Rouen was very different for 1972. The planned Autoroute had been built, and the circuit had then undergone its biggest change since 1955. The fastest section of the track between Sanson and Paradis, into which temporary chicanes had been installed the previous year at the Government’s behest, had been bisected by the Autoroute and a new piece of road had been built, turning right after Sanson and incorporating left and right hand 3rd, 4th and 5th gear corners before emerging at a new right-hander onto the main straight. The much maligned pits were gone too, replaced with a sparkling new pit area, and new Armco barriers and catch-fencing were constructed, seemingly in an attempt to convince the authorities that Rouen was once again capable of hosting the French GP. However, lack of room meant the pit could only hold 15 cars at a time, clearly inadequate for a Grand Prix. The usual big entry arrived for the 1972 Rouen F2 race, with many interested in the track changes. Six graded drivers were entered, all needing to qualify. 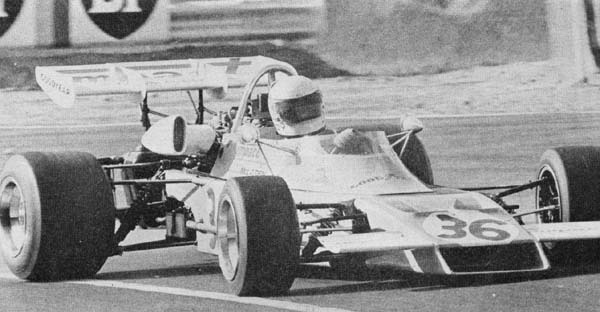 Rondel entered a Brabham BT38 for Jean-Pierre Beltoise, Henri Pescarolo was in a similar Racing Services example and Graham Hill had his Jägermeister BT38. F1 World Championship leader Emerson Fittipaldi had a “Moonraker” Lotus 69 Cosworth, while Francois Cevert’s March 722 and John Surtees’s Surtees TS10 both had Hart engines for the weekend. All the ungraded championship combatants were at Rouen, led by Championship leader Jean-Pierre Jassaud in his ASCA BT38, with Adam Potocki in the sister ASCA car. 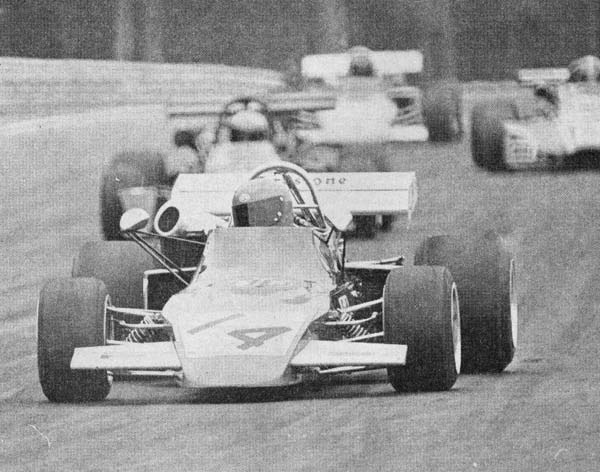 Rondel entered 2 BT38s for Carlos Reutemann and the clearly very brave Bob Wollek, who had returned for another crack at Rouen despite two dreadful accidents in the 1970 F3 race and the 1971 F2 race. Further BT38s were entered for Wilson Fittipaldi, Dave Morgan, Peter Westbury, Richard Scott, Tom Belso, Claudio Francisci and Giancarlo Gagliardi. There were ten March 722s entered; Niki Lauda in the STP car, along with team-mate Jochen Mass, David Purley in his LEC example and Mike Beuttler (Guthrie). Other March entries included Roger Williamson, Brett Lunger, Patrick Depailler, Adrian Wilkins, Jose Dolhem and Hiroshi Kazato. Jean-Pierre Jabouille arrived in his Hart-powered Elf, John Surtees entered two of his cars for Mike Hailwood and Carlos Ruesch, Pygmee entered cars for Patrick Dal Bo and Lian Duarte, while Fred Stalder had his privateer MDB17. Impact McLaren entered a M21 for the very fast South African Jody Scheckter, John Watson had his Tui, and GRD had 3 cars for Tom Walkinshaw, Tetsu Ikuzawa and Claude Bourgoignie. Peter Gethin had the lone Chevron. 2 sessions were scheduled for practice, with 75 minutes set aside for Thursday and a 40-minute session on Friday. Unfortunately the Thursday session was wet or damp and so nothing could really be gleaned from the session, as most drivers took it slowly as they adjusted to the track. Friday was overcast but dry, and cars were separated into two 20 minute qualifying heats. In heat one three drivers got under 1m 49s, with Emerson Fittipaldi pipping Beltoise with a 48.1s, beating the Frenchman’s time by 0.2 of a second. Reutemann joined them under 1m 49s with a 48.6s. Scheckter was the only other driver under 1m 50s with a 49.6s. Watson looked good compiling a 50.4s, Mass managed a 50.6s, while Morgan, Hill and Jabouille all did 50.9s, Morgan’s time coming despite a huge moment which saw his car finish up on a grass bank. Oil leaks restricted team-mates Beuttler and Kazato to 51.1s and 51.9s respectively, and they were split by Reusch. Gethin managed a 52.5s before his weekend came to an abrupt end just as he was getting going. On the downhill plunge to Six Frères a rear wheel parted company with his car, sending the Chevron into the barriers hard. Gethin was OK, but his car was history. Gagliardi did well with a 52.4s, Westbury managed a 53.5s, while Belso was disappointed with his 54.5s, his chances of qualifying well ruined by car trouble. Ikuzawa was very fortunate, his time of 54.7s was not good enough to qualify but Gethin’s misfortune gave him a reprieve. Bourgoignie’s 57.6s was well off the pace, while Petocki couldn’t get under 2 minutes and Fred Stalder joined Gethin on the sidelines with a damaged car after a big lose at Six Frères. Heat two was just as intense as the first, with Pescarolo emerging on top with a 48.5s and Hailwood matching that time. Cevert was just 0.1s slower than the top two, but he was lucky to still be in a position to race at all after a huge spin caused by brake failure just before the new section during which he somehow didn’t hit anything. Purley was another under the 50s mark, and Lauda joined him despite a big incident with John Surtees. As the 1964 World Champion braked for Nouveau Monde, Lauda attempted an audacious out-breaking manouevre. This mistimed lunge resulted in Lauda hitting Surtees’ rear wheel, launching the Surtees into the air and down again hard. While Lauda’s car somehow escaped damage, Surtees’ car was rather less lucky and he was forced to park it there. Surtees was rightly furious, and he had a terse word or two with the Austrian in the pits afterward. Luckily for Surtees, he had set a qualifying time already of 52.3s, and his car was repairable for the race. Roger Williamson did well with a 50.3s time despite being 30hp or so short of most of the field. He had a more powerful engine installed for the race, but it failed on its first Saturday run so the team worked overnight to put the smaller engine back in for Sunday. The remaining qualifiers were Depailler, Scott, Wollek, Dolhem, W. Fittipaldi, Francisci, Dal Bo and finally Wilkins. Duarte, Lunger and Walkinshaw missed out, all three plagued by problems on both days and unable to set fast enough times. Clear skies greeted the drivers for race day, and it was Reutemann who got away best from 3rd on the grid, with Scheckter muscling past Fittipaldi to take second. After lap one Reutemann led, but only just, from Scheckter, Fittipaldi, Beltoise, Morgan, Mass, Watson, Jabouille, Beuttler, Hill, Ikuzawa, Kazato, Belso, Gagliardi and Westbury. Ruesch was last after sliding off on the last corner. On lap 2, Scheckter breezed past Reutemann and he clearly looked the class of the field. 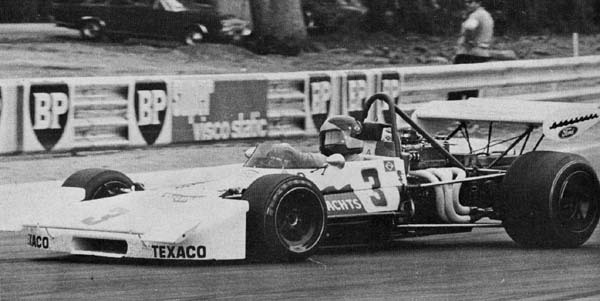 The status quo was retained throughout the first 10 laps, then Scheckter collected grass in his radiator after he took evasive action to avoid a stationary car. The others closed a little, and then the McLaren started to have brake problems as well. E Fittipaldi got by Reutemann on lap 14 and on the following lap hit the front after Scheckter had a big moment and was forced to pit to get the grass out of his radiator and brakes. He then resumed in 6th. Fittipaldi duly took the flag, just ahead of Reutemann and Beltoise. Further back, Mass had got past Morgan on lap 6 but couldn’t shake him off, with Watson, Jabouille and Beuttler in close attendance. Beuttler dropped back a bit when he missed a gear, and the retired shortly afterwards with a blown head gasket. Jabouille joined him with the same affliction on lap 12, and a recovering Scheckter was forced to back off when his brakes gave him another startling moment on the last lap. Mass therefore came home 4th ahead of Morgan, the unlucky Scheckter and Watson was the final qualifier on placings for the final in 7th. Hill came home 8th after a difficult heat, ahead of Westbury, Kazato, and Gagliardi, well back after damaging his nose. Ruesch, Jabouille and Beuttler qualified on times after showing good pace before their cars failed them. Scheckter comfortably came away with the fastest lap, his 1m 47.2s the fastest time all weekend by almost a second! Mike Hailwood completely dominated Heat 2, leading from start to finish in his Surtees. He finished 8s clear of the rest, despite having his clutch fail on the last lap. The Surtees got away well at the start, leading Pescarolo and the rest into the first corner, and then drove away as he liked. Purley grabbed 3rd from Cevert as they completed the 1st lap, but his excellent drive came to and end prematurely, when his battery stopped functioning on lap 7. However his pace secured him a place in the final. Williamson had got away well to be 5th after lap 1, but his engine then expired dramatically on the following lap. Championship leader Jassaud wasn’t quite at his best and was just 6th after lap 1, and he, Depailler and Lauda started a great dice which ended with Lauda’s engine failing on lap 7. Depailler lasted 1 lap more, passing Jassaud then retiring with a broken camshaft. Pescarolo followed well behind Hailwood for much of the race before his engine seized on lap 13, leaving Cevert to claim second without really ever having to exert himself or his car. Jassaud cruised home a lucky third, with W Fittipaldi right behind him in 4th. Wollek did well to finish 5th, ahead of Dolhem who was the final qualifier on places. Francisci and Wilkin were the final 2 runners, Dal Bo, retired with a gearbox failure, Surtees with a broken clutch, and Scott with a broken throttle cable. 4 drivers made the final on lap times: Pescarolo, Purley, Depailler and Lauda. Hill profited from Jabouille not having a spare engine to use, to take his spot as first reserve. It was a ferocious start to the final, Hailwood leading E Fittipaldi and Reutemann to the first corner, while behind them all hell broke loose. Jassaud was pitched into a spin as they screamed down the hill, and Pescarolo and Beuttler could not avoid him. All three were out on the spot, with real concern for Pescarolo as it took some time to retrieve him from his car. Thankfully though, his only injury was a bruised leg. Hailwood completed lap 1 in front, with E Fittipaldi close behind. Then came Reutemann, Cevert Beltoise, Morgan, Scheckter and Purley who were really moving, and W Fittipaldi. Watson led the next bunch, ahead of Lauda, Dolhem, Hill and Depailler. Ruesch and Wollek both cam slowly into the pits to have repairs effected, while Mass coasted his March into the pits with a broken engine. E Fittipaldi took the lead on lap 2, and he and Hailwood headed off to have their own private race. Beltoise and Cevert were dropping back quickly, unable to live with the front 2, and they fell into the clutches of the flying Scheckter and Purley. On lap 5 Scheckter took both Rondel Brabhams and set about catching E Fittipaldi and Hailwood, already 10 seconds up the road, but they were able to match the McLaren’s pace, and the gap remained constant. Beltoise then locked up for fully 20 yards after the final corner, and he was forced to retire with brake problems. This left Reutemann, Morgan and Cevert in a group behind Scheckter, with W Fittipaldi leading the next bunch, before he retired on lap 10 with dropping oil pressure. E Fittipaldi and Hailwood continued to be the class of the field, and everyone watched with anticipation as their furious dice brought the lap record down lap by lap into the 1m 46s. Who would prevail? The question seemed to have been answered when Hailwood locked up and spun at Nouveau monde on Lap 20. Surely now Fittipaldi would be comfortable. But Hailwood wouldn’t give up, and over the next few laps was closing at a rate of 1 second per lap. He had got to within 4 seconds with 6 laps left, but then he spun again at Nouveau Monde, seemingly struggling with 1st gear, settling the issue once and for all. Fittipaldi duly came home the winner, from the unlucky Hailwood, who could at least console himself with the new lap record of 1m 46.8s. 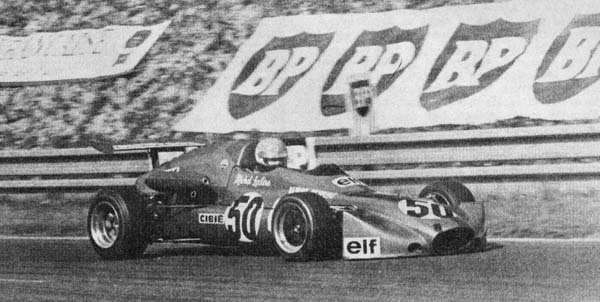 Scheckter seemed set for a comfortable 3rd place until his engine failed near the end, allowing Reutemann to inherit the spot. 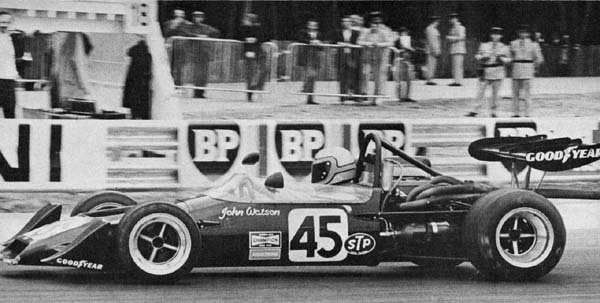 Morgan and Watson passed the ailing car of Cevert on the last lap to take 4th and 5th, the Frenchman settling for 6th. Purley and Depailler clashed on lap 13, sending both into the pits for extensive repairs, and Lauda appeared to have benefited, until he suffered engine failure on the 16th tour. Hill did well then to finish 7th, Dolhem kept out of trouble to grab 8th, and the much delayed Wollek (thankfully steering clear of danger this year!) 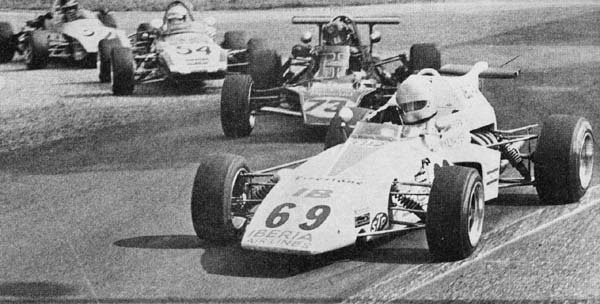 Ruesch, Depailler and Purley rounded out the finishers. Scheckter was classified 11th. After a year away, F3 returned to Rouen for 1972. A good field turned up, and 20 cars had to qualify in the treacherous conditions on Thursday. David Powers, Stan Matthews, Randy Lewis and Ken Sedgley all had engine problems, and joined a collection of slow French drivers in missing the cut. Official practice on Friday was dry, and Michel Leclerc in his Alpine was comfortably quickest with a time of 2m 0.2s. team-mate Alain Serpaggi was next on 2m 1.4s, the same time the Colin Vandervell’s Ensign managed. Lucien Guitteny, Jean-Pierre Jarier and Mike Walker all managed sub 2m 3s times, as did Jacques Coulon. 1970 winner James Hunt did a 2m 3.2s as did Bernard Vermilio, with Tony Trimmer just 0.2s slower. Bob Evans, Mike Tyrrell and John MacDonald also qualified. The 25-lap final was expected to be exciting, and it was, as long as you ignored the two Alpines at the front. Serpaggi got ahead at the start, but Leclerc passed him soon afterwards and the two Alpines rocketed away from the rest of the field, Leclerc comfortably winning ahead of his team-mate. Behind them however, a number of battles raged. Vandervell got clear of the pack but couldn’t live with the Alpines, and eventually both Guitteny and Walker got by him to finish 3rd and 4th. Walker had done particularly well, after a poor start had him in 12th early on, he carefully picked his way through the squabbling bunch to get ahead and he almost added Guitteny to his scalps, finishing just 0.1s behind him. The bunch behind them consisted of Vermilio, Jarier, Hunt, Trimmer, Coulon, Ethuin and Rabbione, and these fought amongst themselves as the leaders pulled further and further away. Sure enough, this close racing resulted in retirements. Coulon was nudged into the barrier by Jarier, and had to continue from the rear. Vermilio was forced wide into some catch fencing, and then Trimmer had his nose damaged. This left Hunt and Jarier to fight it out for 5th, and both were sliding around desperately trying to get the advantage. This exciting duel was settled in Jarier’s favour after a backmarker held up Hunt as he prepared to pass. Trimmer and Beguin finished 6s behind in 7th and 8th, and an entertaining tussle between Tyrrell, Evans and Compain finished in that order.